When Hercules had to perform twelve labors one of them took him to the westward extent of the then (at least to humans) known world. Trouble was that the actual end of the world was on the other side of a great mountain (which if true would effectively have made the Mediterranean a lake). So what’s a super-hero in a hurry supposed to do? Hercules used his superhuman strength, of course, to smash through the mountain. In doing so he formed the Strait of Gibraltar connecting the Atlantic Ocean to the Mediterranean flanked by two “pillars” – Europe’s Rock of Gibraltar and North Africa’s Mons Abyla. All shipping has to pass through this strategically narrow nine-mile wide Strait separating continents and guarding the entrance to the Mediterranean world. What does this myth, and its many adaptations, have to do with the founding of Cadiz, the southwestern most city in the Kingdom of Spain? 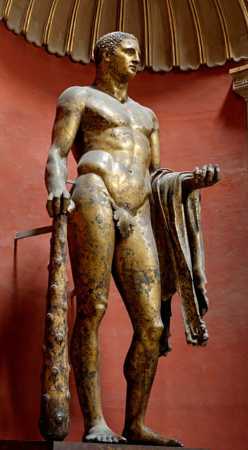 According to earliest Hellenic mythological traditions, land did exist beyond the Pillars of Hercules – and that small barrier island (Hercules destination) would become Cadiz. Humans have coveted this storied city for 3,100 years. With its establishment in 1,100 BCE as Gadir, Cadiz was the western most outpost of the already centuries old Phoenician commercial empire. Cadiz ranks as possibly the oldest continuously inhabited city of Europe. By that era of antiquity, Phoenician, Minoan and Hellenic traditions already shared much in common. 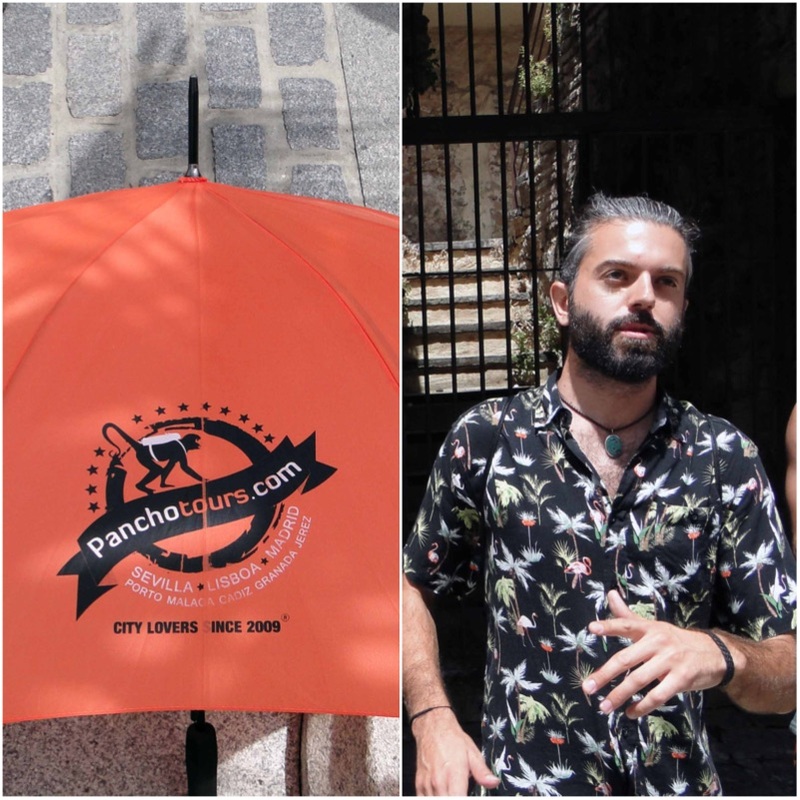 There cannot be a more entertaining and informative introduction to this densely populated city than a free two plus hour walking tour through Pancho Tours. 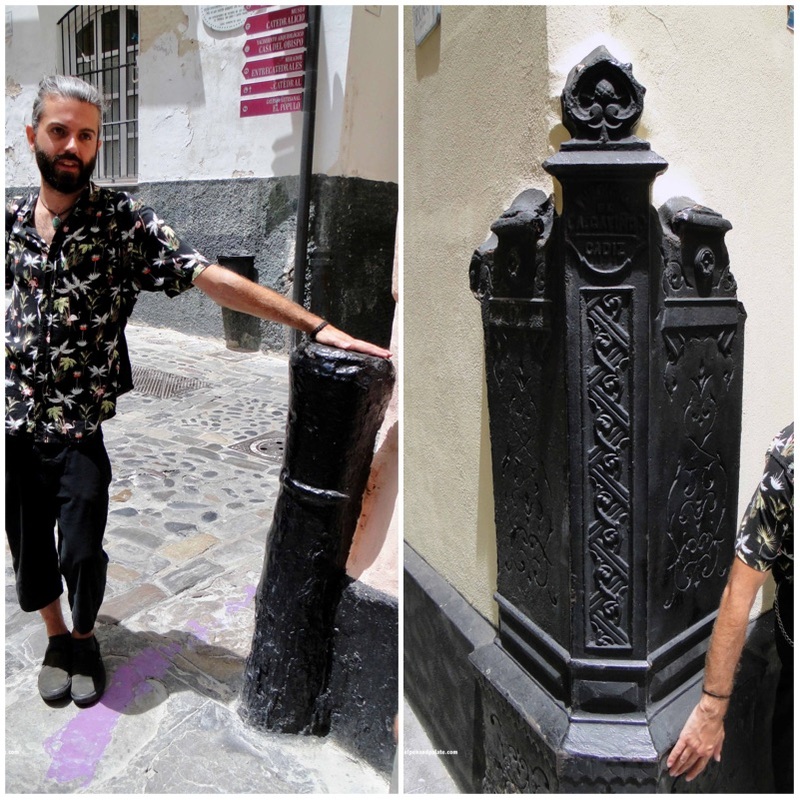 Cadiz born guide Pablo Alvarez revels in his city. 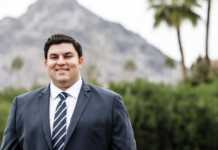 His youthful enthusiasm is encouraging despite continuing employment difficulties in this region of Spain. Archaeologist and tunnel engineers are well aware that where ever we humans settle we bury our trash and build over the old creating a record of existence. Cadiz is a city layered by (at least) the Phoenicians, Mauritanians, Carthaginians, Romans, Visigoths, Moors and the great age of Spain’s New World trade. It’s also a foodie city especially for fish and seafood. Yet to the Phoenicians it was their western port to expand trade links among current day regions of coastal Portugal, Spain, France, Great Britain and Ireland. 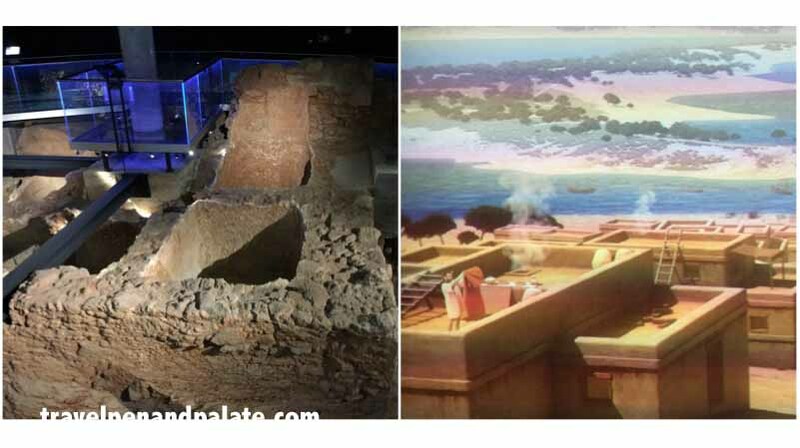 There is no more fascinating start than to tour the Phoenician Archeological Site Gadir. The site is located in the center of Cadiz under a historic theater. As so often happens in the Mediterranean region, construction unearths the past delaying the new. This 19th century theater was being renovated in 2012 when some of the earliest Phoenician streets, homes and workshops were discovered. The ground floor of what is now the current home of the renowned Tía Norica Puppet Theatre is a stunning computer interactive glass floored exhibition space that does show you what life was like directly under your feet. 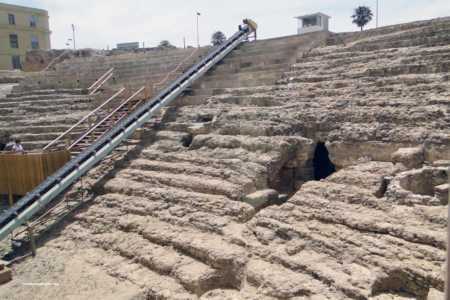 Just a short distance away, during municipal improvement work in the 1980s, a Roman theater with a capacity for 10,000 was rediscovered. The theater, and the adjacent museum, attests to the continued importance of Cadiz as a port city for the empire. 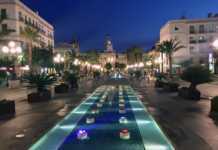 Situated on a narrow slice of land surrounded by the sea‚ Cádiz is basically a barrier island. Mostly sand, over the centuries small islets were connected by causeways for the railroad and landfill for the “new city.” Yet it’s still nearly impossible to sink foundations deep enough to support high-rise buildings. 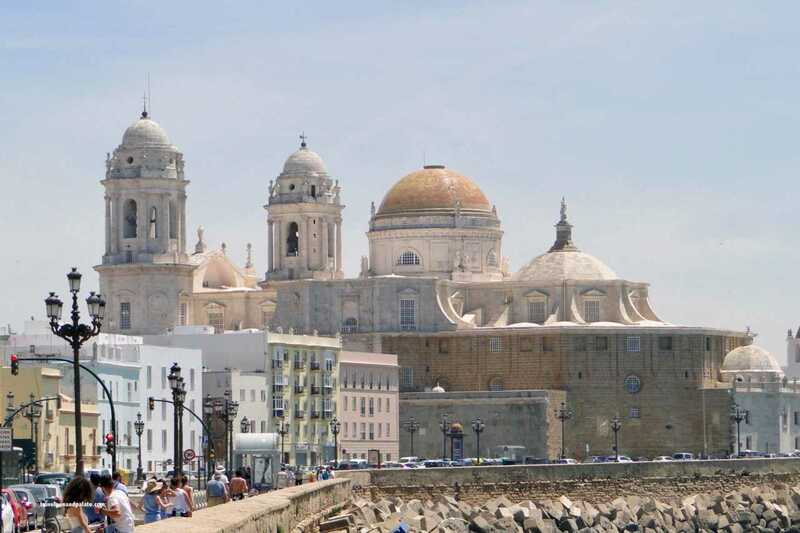 The older part of Cádiz within the remnants of the city walls is commonly referred to as Old Town. 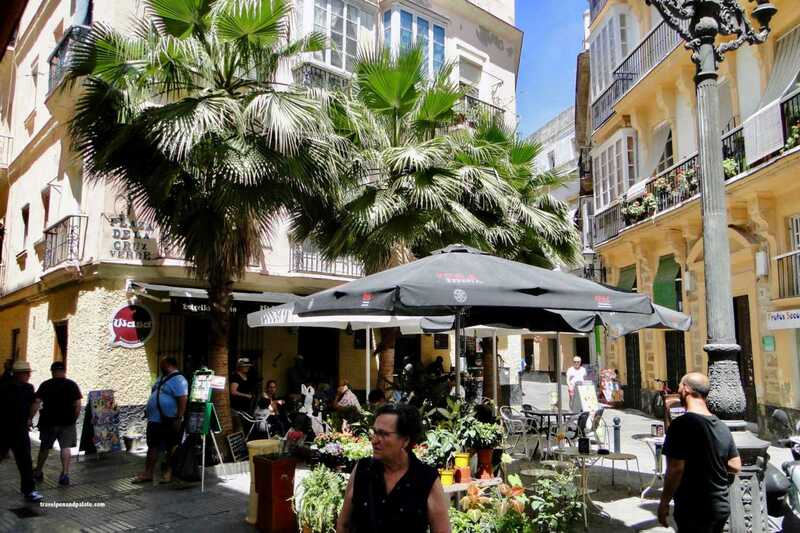 San Carlo and El Populo are two of the oldest and picturesque neighborhoods. 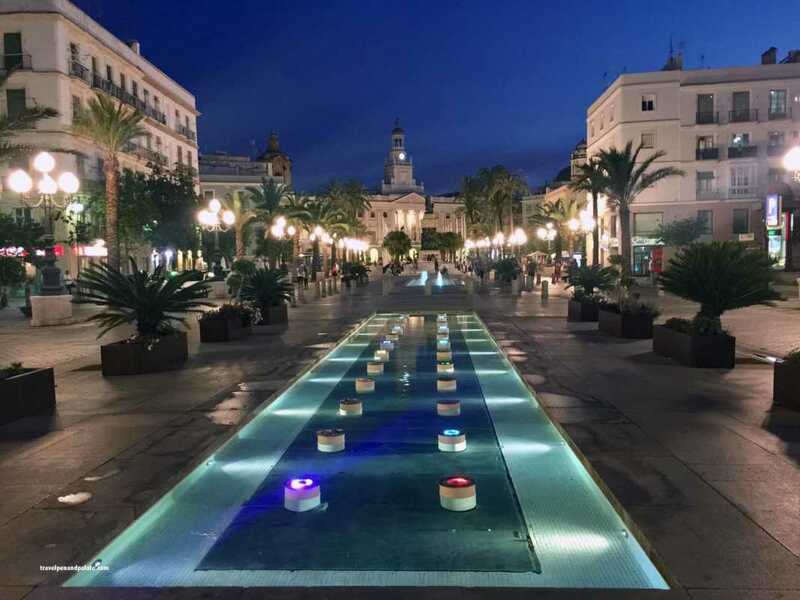 Locals consider people as native Cadiz only if they were born within the Old City – the new city mostly built on reclaimed land is, after all, less than 200 years old. 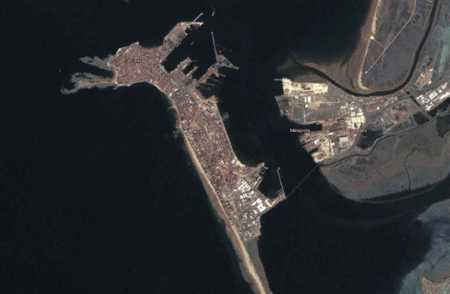 As is, the entire “real Cadiz” Old City population of 130,000 lives on about two square miles of land – one of the highest density levels in Europe. Much of the architecture of present day Old Town reflects the glory days when Cadiz was the last and first Spanish port of call for the fabled New World gold and silver fleets. 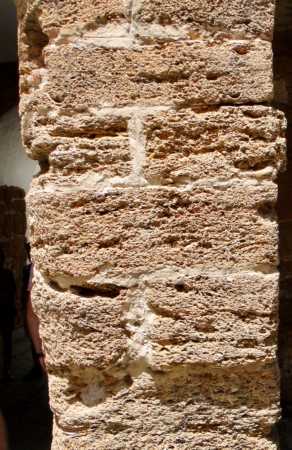 The new townhouses of wealthy merchants were constructed of oyster stone – a mixture of sand, rock and seashells. Summers in Cadiz can be excessively hot and humid (you still have the beach). The porous nature of oyster stone block naturally helped with evaporation of interior humidity. Unfortunately it was a brittle construction material. 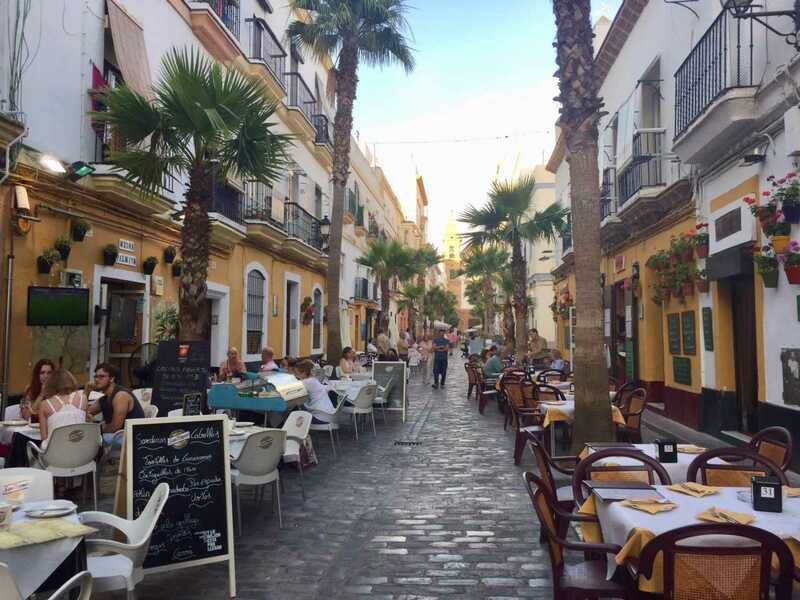 Keep in mind that streets 400 years ago were nearly as twisty and narrow as 3,100 years ago and not much different than what’s seen today in Cadiz. Homeowners grew tired of careless carriage and cart drivers bashing into the corners of their buildings. An increasing number of discarded iron cannon from the presence of the Spanish fleet gave enterprising builders the idea to embed them into the corners of their oyster stone houses. The house still might get bashed, but its “bumper” would do more damage to the vehicle. It’s possible to read inscriptions on some of the cannon with their ship details. Later wealthier townhouses had custom made iron bumpers fabricated. In the center of the historic core the town houses owned by the wealthy were four floors with the top floor – slightly narrower – for the servants. The 3rd floor with taller windows was the owner/family flat. Second floor was usually a business office while the ground floor was frequently commercial/retail space. 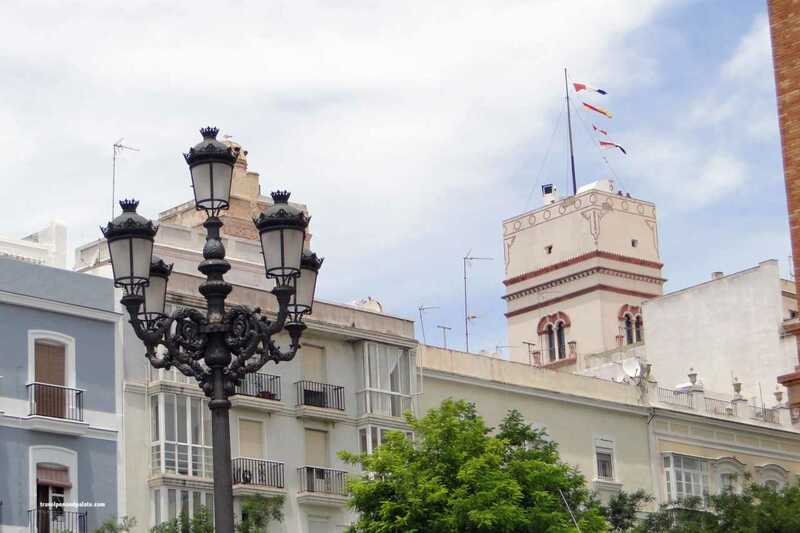 Known for its elaborate towers, Cadiz has to this day 129, which served as a communication structure between port and ships based on a flag system. 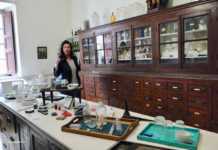 Several are open for tours. A must see is the 18th century Torre Tavira, which in the 1990s was topped with Spain’s first ever, large scale camera obscure providing a unique panoramic view of the city. The copper cross that victims were tied to would glow green as it grew hot from the flames. Tour guide Pablo Alvarez explained that it was taken as a “green light” from God. The French Emperor Napoleon abolished this barbaric practice during the effective reforms that survived his failed imperial ambitions to unite Europe in the early 1800s. Interestingly Samana Santé (Holy Week) festivals increased in complexity during the Inquisition era. It was a way to assert one’s piety to avoid suspicion of anti-Church sentiment. In Cadiz, as Carnival evolved it included competitive singing groups whose lyrics focused on political satire. During the Franco years, just as in the Inquisition, this had to be subtle. Life revived after the restoration of the monarchy in the 1980s. 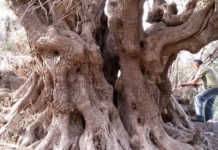 Cadiz itself was a draw that developed the multi cultural mix that is still Andalusia. No single building illustrates this more than Cadiz Cathedral. Depending from which angle you view this architecturally eclectic building you will see either the gentle dome of a mosque from the golden age of Moorish Andalusia or the towering rococo facade made possible by Spanish New World riches – life ultimately melds. Cadiz would be nothing without the Atlantic Ocean. 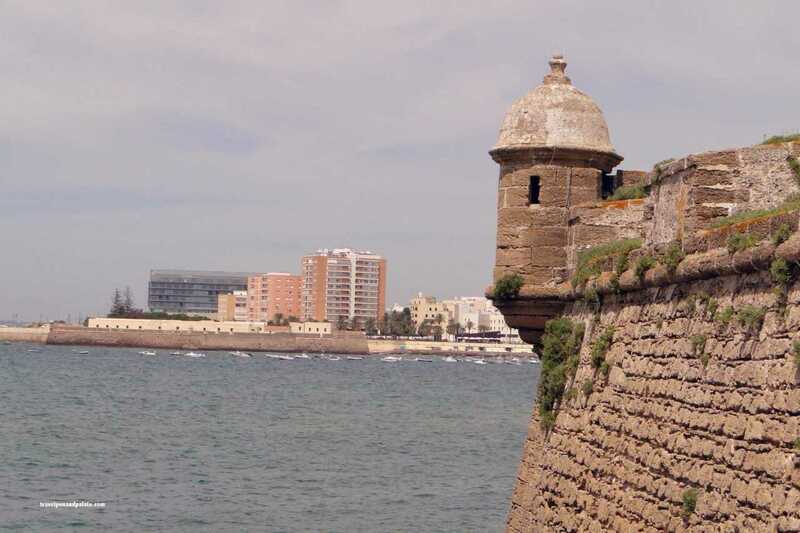 Yet other than the usually expected coastal fortifications protecting cities deemed safe (enough) a pirate caused Cadiz to vastly increase military spending in the 16th century. To the Spanish, Frances Drake was a pirate who raided their merchant ships bound from the New World. 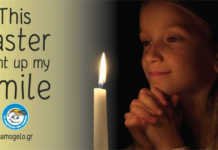 To Queen Elizabeth I of England he was Sir Frances. After Drake’s profitable sacking of Cadiz (1596), Spain beefed up defenses and inadvertently created it’s biggest future tourist draw! The finest beach in Cadiz, according to Pablo Alvarez, is the stretch of sand called La Caleta. 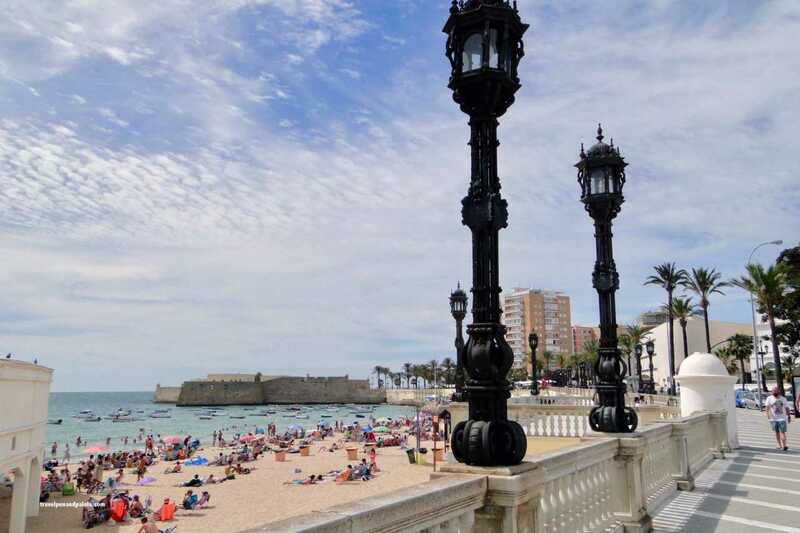 It is conveniently sandwiched between classic ocean front fortifications and lined by the justifiably famous Malecon of Cadiz built in 1901, which still looks brand new! The equally famous Malecon of Havana, Cuba, is modeled after Cadiz. After the Cuban Revolution when Hollywood was not allowed to film in Havana, Cadiz’s Malecon was the common stand-in. Both seaside fortifications are well worth a visit and make a pleasant hike while exploring the Malecon. The Castle of Santa Catalina is at the north end of La Caleta beach. It was constructed in 1598 in response to the raid by Sir Francis Drake. Recently renovated, today it is used for exhibitions and concerts. The Castle of San Sebastián is situated at the end of a causeway leading out from the south end of La Caleta beach. It was built in 1706 to provide more sophisticated defense since its position out into the sea allowed the forts to engage enemy ships in a crossfire. 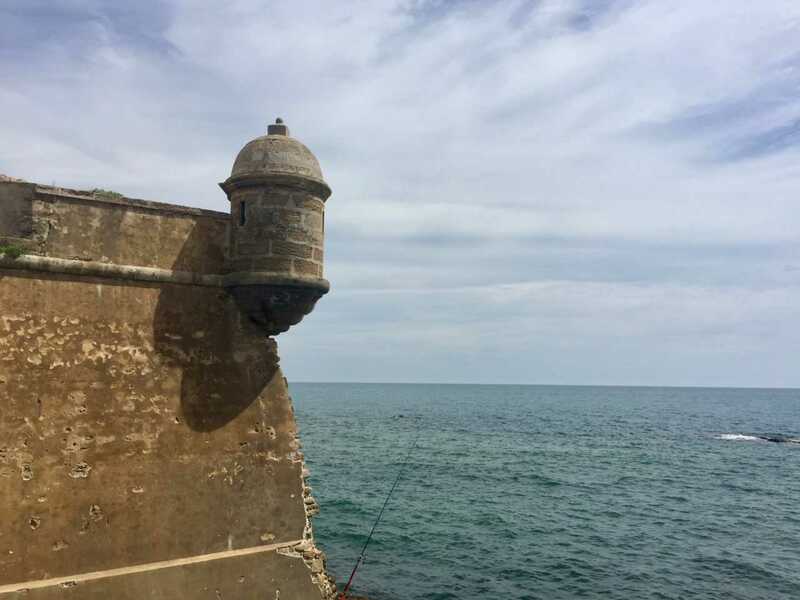 Standing on Castle of San Sebastián’s walls looking out into the infinity of the Atlantic one is moved by the realization that for thousands of years Cadiz was either the last land many seafarers ever laid eyes upon or the first when returning from multi-year journeys. Such daring is humbling. 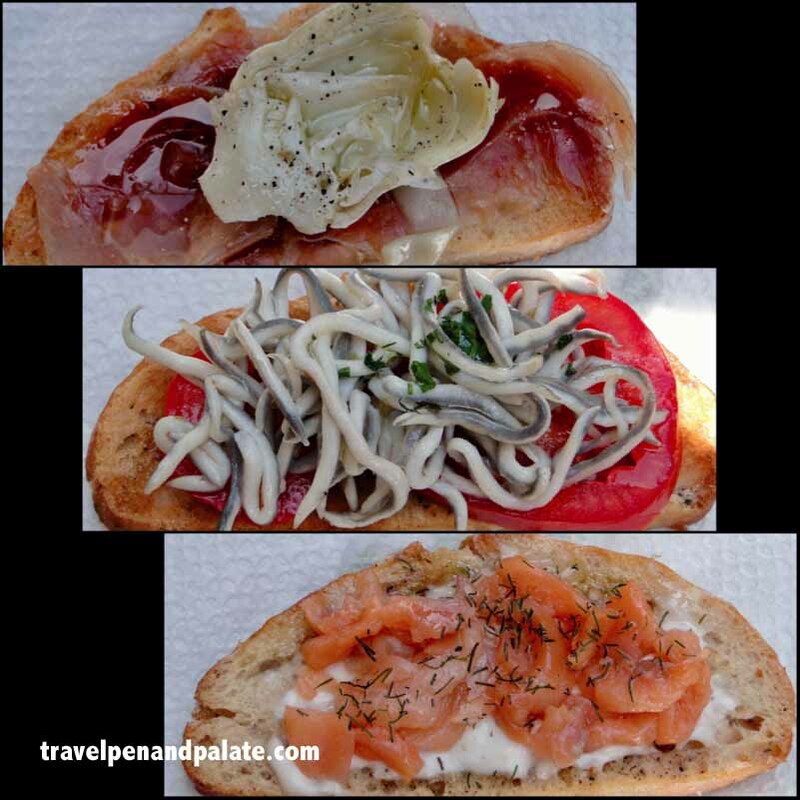 Spain is fine food, wine, tapas and Cadiz is all about the bounty from the sea. 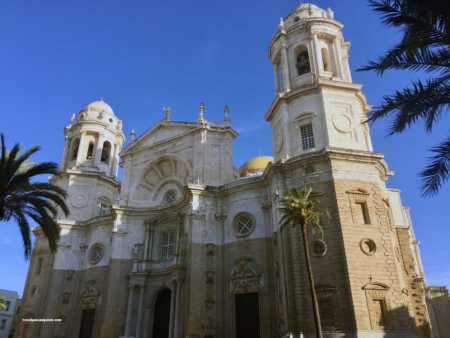 The city of Jerez – the land of sherry wine – is within an easy drive north of Cadiz. 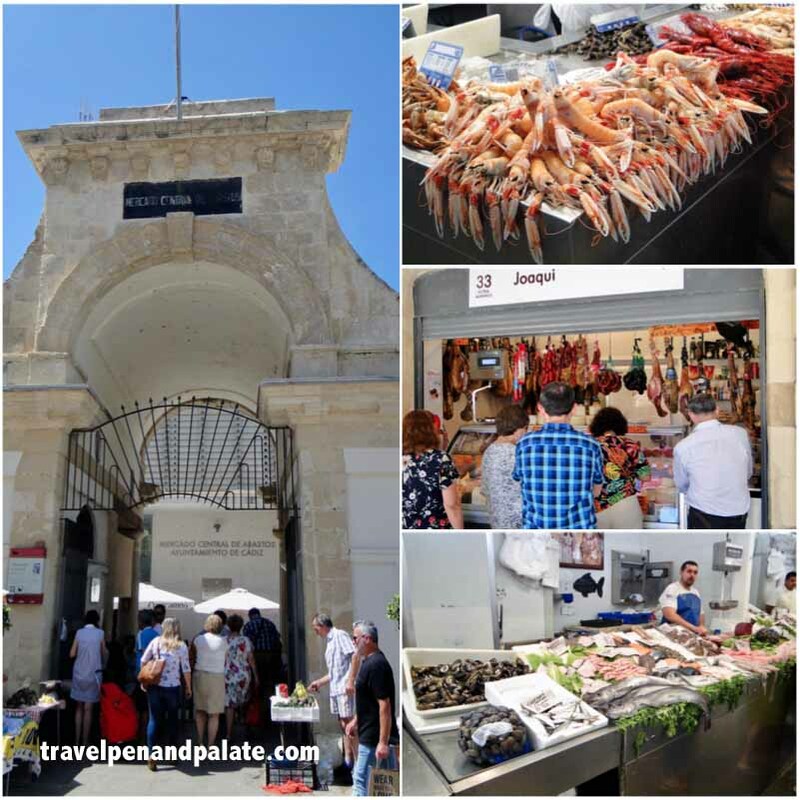 The temple to cuisine in Cadiz is the Mercado Central Cadiz since 1838 the oldest enclosed market in Spain for produce, fresh fish, meats, seafood and prepared foods. Among local dishes Cadiz is known for fried fish, especially cuttlefish. Tuna migrate between the Atlantic and Mediterranean in vast numbers through the Straits of Gibraltar. Cadiz is a major world supplier of fresh tuna, and Japan buys 90% of the catch! Three millenniums after it’s founding Cadiz remains the front gate to the Mediterranean world, and like its streets, Cadiz’s past and present is still a maze. It’s the home port of the Spanish Kingdom’s navy. Just east is the Rock of Gibraltar (a British territory claimed by Spain). On the North African coast of this narrow Strait is Mons Abyla (a Spanish territory claimed by the Kingdom of Morocco). Unlike most mazes, you will enjoy being lost. You will discover each fascinating urban layer in every twist and turn. You will dare to be humbled. Cadiz is well served by the Spanish national rail system, Renfe, from major cities including Barcelona, Madrid and Cordoba. By coach bus check the schedules at Socibus or Alsa. If you wish to drive it’s 660 miles southwest of Barcelona and 400 miles from Madrid. Eat at any of the sellers of prepared foods at the Mercado Central Cadiz. Look, choose, find a seat somewhere and enjoy. Go back often! It is the cuisine of 3,100 years in one location. 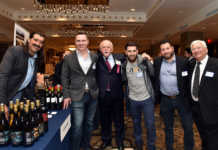 Travel with Pen and Palate every month to Greece and the world in the Hellenic News of America.